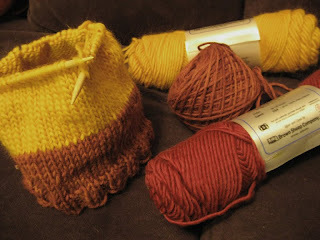 I have given in and started a Jayne Cobb hat, as per my boyfriend's request. There are a lot of these hats out there. I decided to use this pattern as a guideline, but I think I'll adjust the ear-flaps and gather the top a bit more. Tune in next time to see how it looks! Making a Pom-Pom, and Finished Product!